Traveling the world is one of the best ways in which you can enrich yourself, as many don’t understand exactly how different varying cultures can be. Unfortunately, some parts of the world are blocked off to us unless we go through the effort of obtaining a visa, and Vietnam is one of these countries. Over the course of this article, we’re going to cover everything you need to know about acquiring a Vietnam visa for Canadians. Even though Canadians have access to over 185 countries without a visa or with one that is greatly expedited, Vietnam is a little more sheltered, but it isn’t impossible to get there. Getting a Vietnam visa can often involve a bit of work, and there are plenty of companies who will do most of it for you. If you’re looking to skip through all of the trouble, then click here to use this service to acquire your visa much sooner. Much like a Vietnam visa for UK citizens or those from any other western country, the process is rather straightforward and just requires an application, so let’s get right into it. While you technically receive your visa stamp at the airport upon arrival in Vietnam, you will still have to make some preparations before you leave so that it will go smoothly. Having everything in order is crucial, as you won’t want to be trapped inside of the airport without access to the country if something goes wrong. To ensure that doesn’t happen, be sure to formulate a checklist and follow it exactly, and also double-check any information you enter over the course of your application process. While there is a possibility that mistakes may be sorted out on arrival, you don’t want to rely on it, as it is not guaranteed. That being said, the first step of the application process involves applying for the visa digitally. As with most bureaucratic forms, the Vietnam visa can be applied for online, and this has the benefit of making the process much simpler and more affordable than physically mailing an application. The digital part of the application is nothing unique to Canadians, and even a Vietnam visa for Australians will require one. There is nothing out of the ordinary on the Vietnam eVisa application site, and you simply have to go through it and fill out all of the relevant information, ensuring that everything is accurate. One of the only downsides to the eVisa application is that the website can be a little convoluted and the English can sometimes be hard to understand. If there are any misunderstandings, then be sure to do some research instead of filling in the category after taking a guess at what they expect. Once all of this is done, your application will be processed, and you will be notified of its status. You’ll find that visa applications are rarely denied to Canadians unless they have made some kind of mistake in their applications, which is why were are so insistent on keeping your info correct. The application process is relatively simple, and if you’ve always wanted to visit Vietnam, then you can do it today without much of a hassle. Let’s go over the things you’ll need to make this application go smoothly. 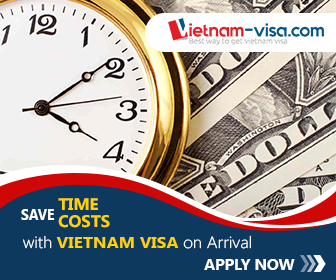 Click here for one of the best companies that can help you through the task of getting a Vietnam visa as a Canadian. First off, let’s cover some of the information you’ll have to provide so that you can receive your Vietnam visa. Just like when getting a Vietnam visa for Indians or any other nationality, you’ll have to give your full name, exactly as it is written on your passport, although the order of the names is not important. Beyond that, you will have to provide your date of birth in the following format: DD/MM/YY. This shouldn’t be too much trouble for Canadians, as that is the format in which it is written in Canadian passports. Even though the month is spelled out, it is still found between the day and the year. You’ll also have to provide your nationality (just take a look at the front cover of your passport), as well as your exact passport number. Keep in mind that this is where people commonly make mistakes, so you’ll want to go over your passport number thoroughly to ensure that it is correct. Finally, you’ll also have to include the day on which you plan on arriving, though keep in mind that this won’t have to be exact. You can enter Vietnam at any point during or after that date, but you won’t be able to access the country before it, so give yourself adequate breathing room, but not too much. A Vietnam visa for Canadians will be the same price as a Vietnam visa for Malaysians, as the rate doesn’t change based on where you’re applying from. Thankfully, you’ll find that the application fees for a Vietnamese visa are entirely reasonable, and even more so when you consider their high rate of approval. Keep in mind that a visa processing service may add a few dollars to the price of getting entry into the country, but you’ll find that they are often worth the money due to sheer convenience. Click here for one of the most affordable visa processing companies around. An affordable visa isn’t worth much if you don’t get approved for it in the first place, as you will still have ended up wasting your application fee. Speaking of which, the application fee for a Vietnamese visa is 25 dollars, though you’ll have to pay an additional 25 dollars upon arrival for your visa stamp. Keep in mind that you’ll only pay 25 dollars for the visa stamp if you are alone, as groups will have to pay 50 dollars for multiple stamps. Thankfully, that is a flat rate, so you’ll save money on your visa stamps if there are more than two people in your group. Overall, the price of your visa will be a bit of a drop in the pond compared to your airline tickets, so don’t let it hold you back from the vacation of a lifetime! We hope that this guide has provided you with all of the necessary info about obtaining a Vietnam visa for Canadians. If you’re considering traveling to this beautiful country, then there are plenty of services that can deal with the visa application for you and get you there even quicker. Click here for the best Vietnam visa service for Canadians, allowing you to get your trip started off without any headaches.